The Garmin G3X magnetometer feeds magnetic heading signals to the ADAHRS units, obviating the need for a whisky compass. 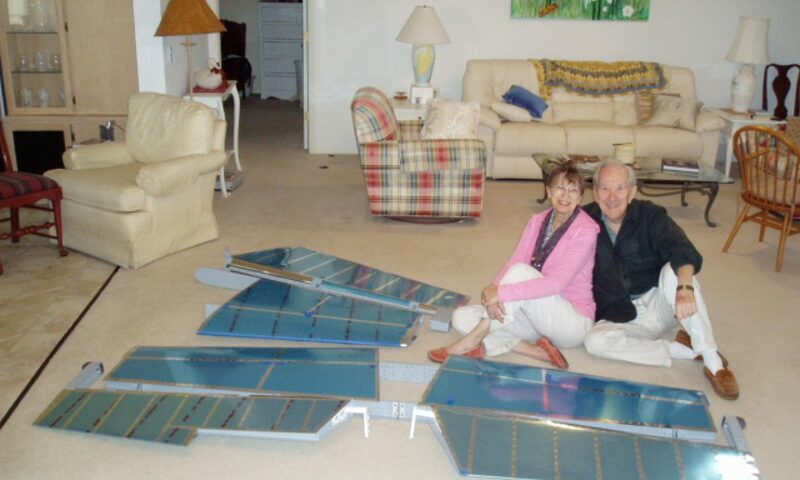 It can be mounted anywhere distant from aircraft magnetic fields. Many builders place them in a wingtip or tail assembly. I fabricated a mounting plate and riveted it to the upper fuselage longeron and aft side of the baggage compartment bulkhead. 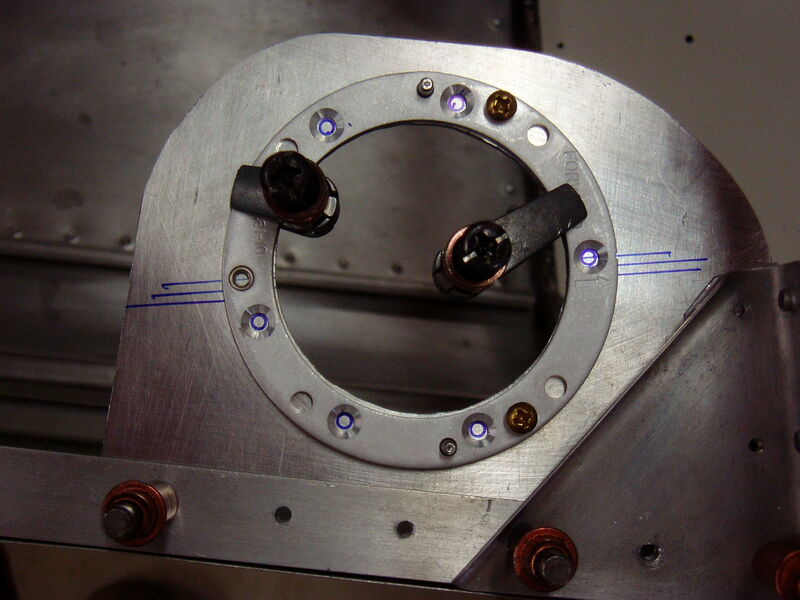 The magnetometer mounting ring is shown clamped to the mounting plate. 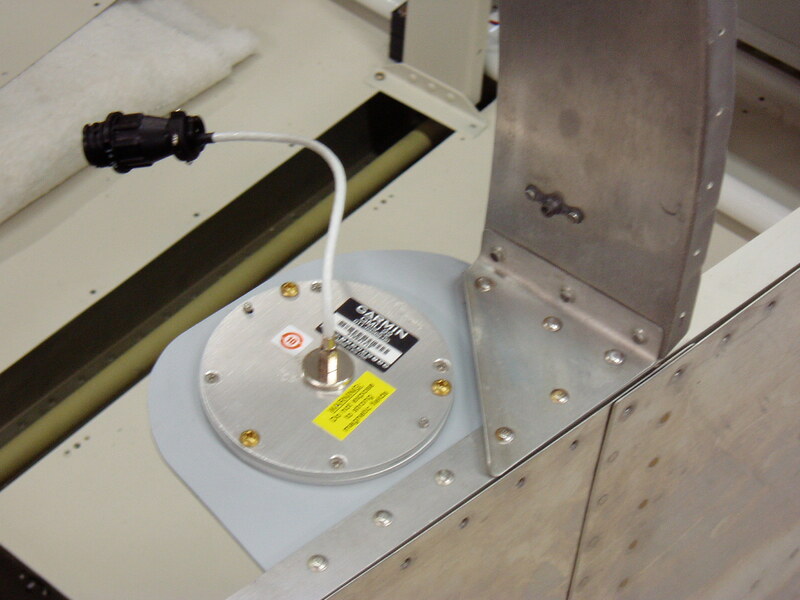 It is being marked so the front/rear axis of the magnetometer is parallel to that of the aircraft.